Building the Critical Flexible Components for Wearable Medical Devices Body Worn Devices | Fabrico, A Division of EIS, Inc.
Patch pumps, bolus injectors, biosensors, and other body-worn diagnostic “mechanized” devices are composed of small, reusable or one-time-use devices that contain a reservoir of a drug and a small needle on the side facing the patient. 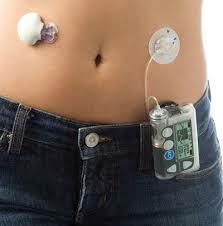 Patch pumps are used primarily for insulin therapy, which often requires patients to wear the device for several weeks, even months, based upon the severity of their medical needs. Bolus injectors are drug delivery devices that are customizable to inject medications subcutaneously. Biosensors are mostly analytical and diagnostic in nature, usually incorporating biologicals and a transducer for the capturing and transformation of responses to electrical signals. A complete biosensor system is capable of detecting and recording changes in targeted biomarkers. At Fabrico, we have perfected the fabrication process for skin contact sensors, typically connected with conductive Ag/AgCl tracings or other forms of flexible circuits, from where appropriate signals from the body transmit to devices with digital output ability. Fabrico Medical’s design engineers can assist medical or contract manufacturers with building the flexible components for these devices. Based upon significant experience with stick-to-skin applications, our engineering team selects the right form factor and adhesive material that is worn by the patient based upon a variety of aspects, such as wear time, adhesion strength, and skin condition of the application area. Design constraints include implicit and explicit requirements for functionality, ease of use, look and feel, but all are driven by a critical parameter—Form Factor. Form factor is the parameter of size in a design process. Some refer to it as foot print. Designers who pay attention to the ‘form factor’ question early enough in the design phase will design a compact, robust, and a winning device while saving on cost. This is not to say that smaller is cheaper. The fact is that early consideration reduces iterations of prototyping and decreases time to market. Adhesion to skin and medical devices requires balancing the need for a strong bond to hold the device in place for as long as the treatment requires, and the ability to remove or reposition it without causing skin trauma, such as skin tears or stripping. Constant skin re-adherence can cause irritation and potentially infection, especially if the adhesive is too aggressive. Fabrico Medical works with premier suppliers of medical adhesive materials, such as 3M, who have developed proprietary formulations that provide a strong bond while being easily removed from skin. In addition to material selection, Fabrico Medical’s manufacturing experts can recommend fabrication and assembly techniques required from prototyping to high-speed production to create parts and devices in virtually any shape or size, while also assisting with the integration of electronics, on-board controllers, and human interfaces that contain buttons or small screens. Fabrico Medical offers Class 10,000 (ISO 7) clean room manufacturing of patch pumps to ensure they can be produced, assembled, and packaged without contamination.